The Asus MG279Q delivers a tasty mixture of IPS-quality visuals and viewing angles with TN-like response times and refresh rates. The Asus MG279Q is shipping for about £490 in the UK. Readers should consider that 27in TN-based QHD monitors start at approximately £280 while IPS-based equivalents at around £300. However, both aforementioned starting prices are for 60Hz panels lacking support for FreeSync. More suitable comparisons would be the FreeSync-enabled Acer XG270HU and BenQ XL2730Z which cost £380 and £460, respectively, and both sport 144Hz refresh rates at QHD using TN panels. Frugal consumer will recognise that the Asus MG279Q is still a trade-off between rival offerings when considering FreeSync as the most important feature, despite the 144Hz maximum capability the FreeSync limit is 90Hz. The widest FreeSync range is offered by the aforementioned TN models, capable of 40 to 144Hz, but the MG279Q arguably delivers a much better all-round experience with its quality IPS panel. Even the most avid gamer likely spends a considerable amount of time doing activities aside from gaming and, with that in mind, the MG279Q is a potent rival. 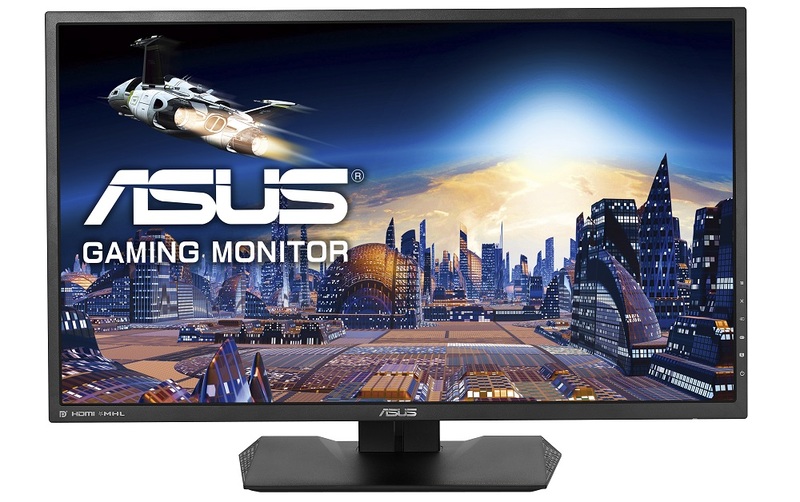 The Asus MG279Q delivers a tasty mixture of IPS-quality visuals and viewing angles with TN-like response times and refresh rates to deliver one of the best FreeSync experiences currently available. Yet the MG279Q should not be designated as a FreeSync-only monitor, because the ability to game at 144Hz and 1440p using an IPS panel makes it just as relevant for gamers with Nvidia GPUs or AMD GPUs without FreeSync support. Tasty but still not enough to make me put my hand in my pocket and replace my 1440p screen. Actually getting tempting. The stand on the Acer doesn't look that good, this seems the right blend of business like but can play Elite on it. Eh, call me crazy, but if you're paying around g-sync money on a monitor, you should get, you know, g-sync. But this GPU vendor dependant monitor asynchronous refresh carry on is getting a bit old now. Until then, looking forward to the g-sync version of this. Hope nVidia wises up with the licencing fees and module requirements soon. Dumping Gsync is a good idea but until we see some FreeSync monitors that have a wider range of refresh rates Gsync still has a place in the market, given the currently available monitors I would go for Gsync over Freesync. Maybe when we see a Freesync monitor that can go from 10-15Hz to over a 100 it maybe worth it, until then Freesync is the poorer cousin of Gsync (IMHO).